Hi friends and future friends! Another quick recap for episode 11. I didn't have a ton of time to get screenshots for this episode, unfortunately so my memes and screenshots are limited. But less is more? Lol. Don't worry, I have a ton of screenshots and memes for the next two episodes which I should have uploaded in the next couple of days. In the meantime, let's do a brief recap of episode 11. When we last left off, Soo Ah had just pushed Yeon Doo down the stairs and Yeol grabbed her and took the brunt of the fall. They both were rushed to the hospital after Yeol lay there unconscious. Thankfully, Yeol isn't hurt too badly. Both Yeon Doo and Ha Joon wait for him to wake up and when he does Yeon Doo is right there. She tells him she'll get back at him for putting her through what he did and when he asks how, she kisses him on the cheek. Yeol responds by kissing her back passionately. But then who should show up at Yeol's hosptial room door with the world's worst timing? Ha Joon, and he sees the whole thing. Needless to say he's heartbroken. 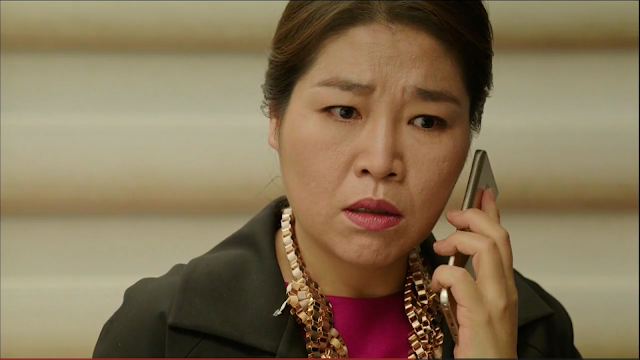 Soo Ah, horrified at what she's done is waiting out the hospital and calls to learn of Yeol's condition. When she finds out he's going to be okay, she cries tears of gratitude. Yeon Doo calls Dong Jae to fill him in on Yeol's condition and to get a little best friend advice. Yeol's dad shows up at the hosptial with Yeon Doo's mom who thankfully decides to leaves at the last minute. Had she not, she would have found Yeon Doo in Yeol's hospital room. Yeon Doo gives Yeol and his dad some space to catch up/bond/what have you. Soo Ah goes to her mother to confess everything she's done. She's expecting that when her mother realizes how far off the deep end she's gone, she'll do something about it, stop Soo Ah or comfort her. Instead, her mother tells her she'll cover everything up and ensure that she's still able to go to a good school. Soo Ah is horrified by this realization that her mother doesn't even care about all the horrible things she's done. 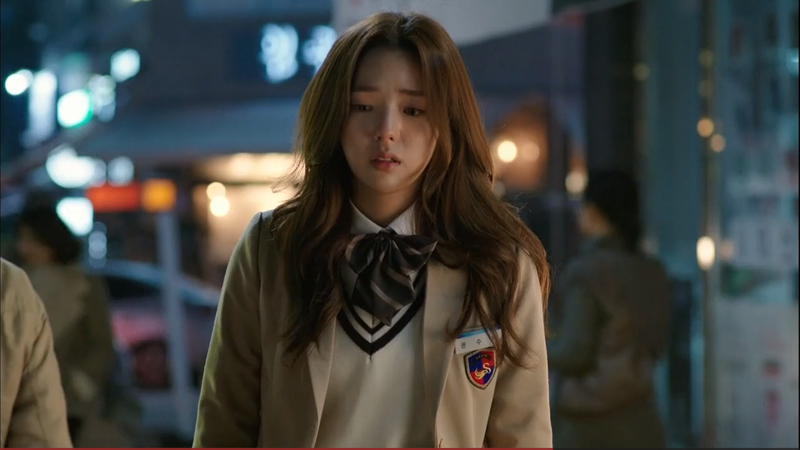 Soo Ah also realizes how hated she is by everyone else and doesn't see a way out. Yeon Doo is having difficulty thinking about forgiving Soo Ah for the millionth time. She still hopes for her redemption, but feels that there's nothing more that she can do for her. 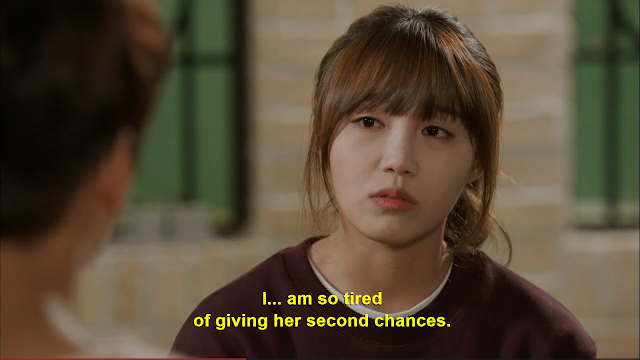 Soo Ah comes to the point where she realizes how evil incarnate she's become and that she needs to apologize. She writes and apology note to Soo Ah and goes to the hosptial to give it to her. When she gets there, the whole cheer team is in Yeol's room so she leave it on the door. Soo Ah runs into Dong Jae and asks him a favor. Together, the two go out and spend some time at the arcade having fun together. She seems to genuinely enjoy herself and wonders why she never did something like this before. She regrets wasting her life studying when it did nothing but turn her into an awful person. When Yeon Doo finds the note Soo Ah left she's worried. It's an awful lot like a goodbye note and she thinks that Soo Ah is going to do something drastic. The cheer team sets out to look for her. Yeon Doo calls Dong Jae who tells her that she just left and she seemed fine, but upon rethinking her behavior he's worried too. Soo Ah's mom gets the call that what seems like Soo Ah's suicide note was found and she is absolutely terrified. It seems she does think of her daughter as more than just a means to an end after all. We find Soo Ah, at the edge of a busy road about to walk out into traffic. Yeon Doo and Yeol see her from a distance, but can't get to her as she steps out onto the busy road. She's in the middle of the street and a car is coming up fast. The cheer team is horrified at themselves for treating Soo Ah in such a manner as to make her want to kill herself. Even though Soo Ah did awful things herself, they regret sending out the video and icing her out. They wait anxiously to hear if she's okay, but as she's recovering her mother won't allow any visitors. So the team records a video of themselves telling Soo Ah they miss her and asking her to come back. Our episodes ends as she watches the video from her hospital bed smiling. Loving this drama! It just keeps getting better and better. You can catch up on all episodes so far on my main page for this drama below and stay tuned for a new drama club post out tomorrow. Keep an eye out for episodes 11 & 12 coming to you before the end of the weekend. Take care, friends! I will be resuming my She Was Pretty recaps very soon. I just started a new job and have unfortunately been a lot busier than expected, but now that Cheer Up! is over my first priority is to finish up She Was Pretty. In fact I just finished several episodes last night so it shouldn't be long now. Sorry about the wait!